I Got a New Bookshelf! Okay, so I’ve needed a new bookshelf for a while. I got a lot of new books for Christmas and my birthday and I’ve wanted to move some of my big collections of books onto their own shelf. 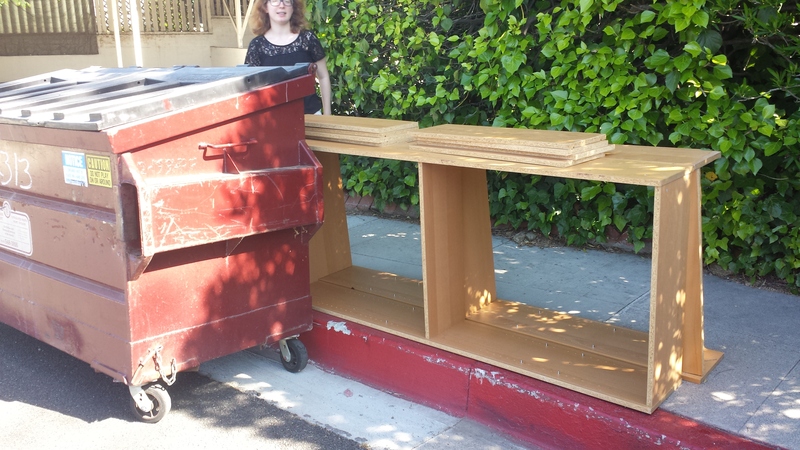 I was walking to a friend’s house and I realized that there were two bookshelves (completely built) sitting next to a dumpster near my house. My sister and I immidiately started brainstorming ways we could fit another shelf into our room and we figured out that one would TOTALLY FIT. When we got back from the friend’s house, we brought one of the bookshelves into our room (with our mom laughing at our pain as we dragged it through our apartment). Then we got to move new books in! 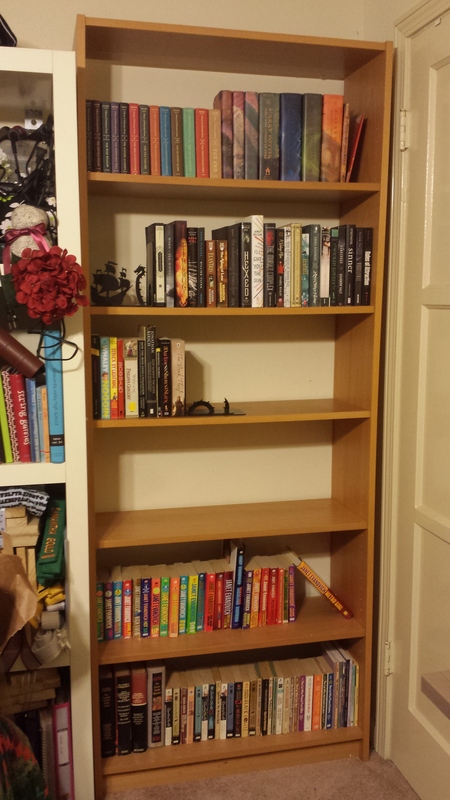 The bottom shelf is Agatha Christie novels, The Cat series by Lilian Jackson Braun, and some other mysteries. The next shelf up is books by Janet Evanovich. 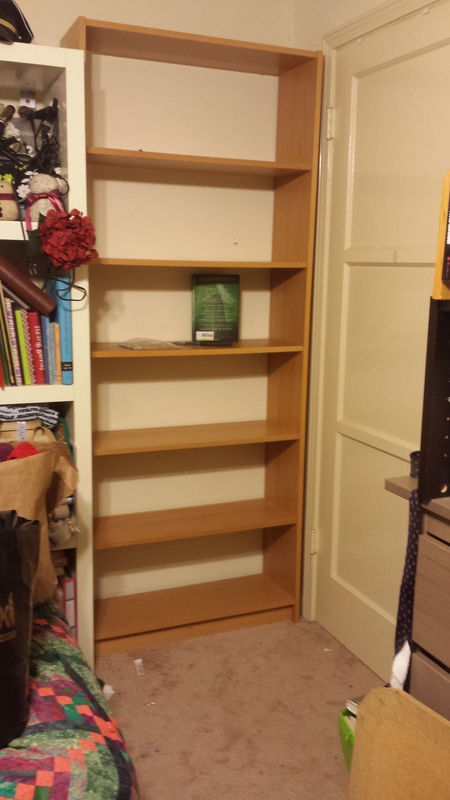 Then there is a blank shelf (an excuse to get more books…am I right?). Between the awesome bookends I got for Christmas is my official TBR shelf (previously just a pile of books on my floor…). On the top shelf, Harry Potter and The Series of Unfortunate Events, both of which had been in a different room, got to move back into out bedroom! That picture could have been cropped sis. I could never reach the top ahaha but, omg, that is so cool!! Honestly it’s a stretch for me to reach the top as well but it’s worth it!